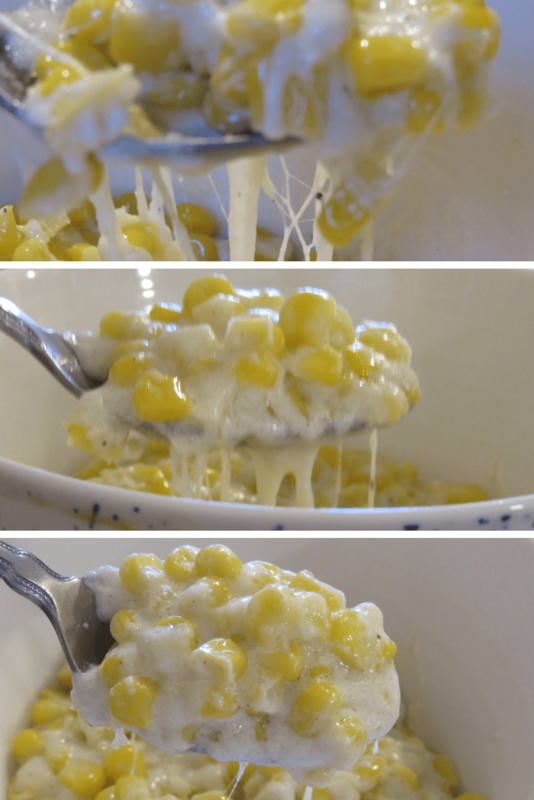 Y’all, this corn recipe! It’s creamy, it’s cheesy, it’s so simple, and, it’s divine. 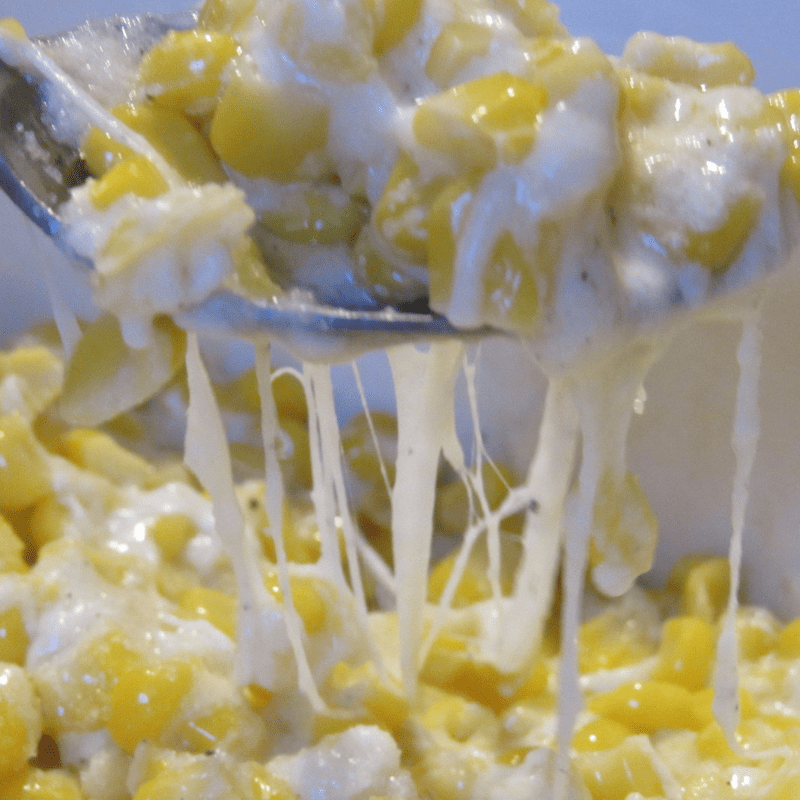 I love corn of any kind, except canned cream corn. I don’t know why but I have never been able to eat it. I guess I have been spoiled with fresh vegetables for so long that I just can’t tolerate foods that don’t have that fresh-picked taste. 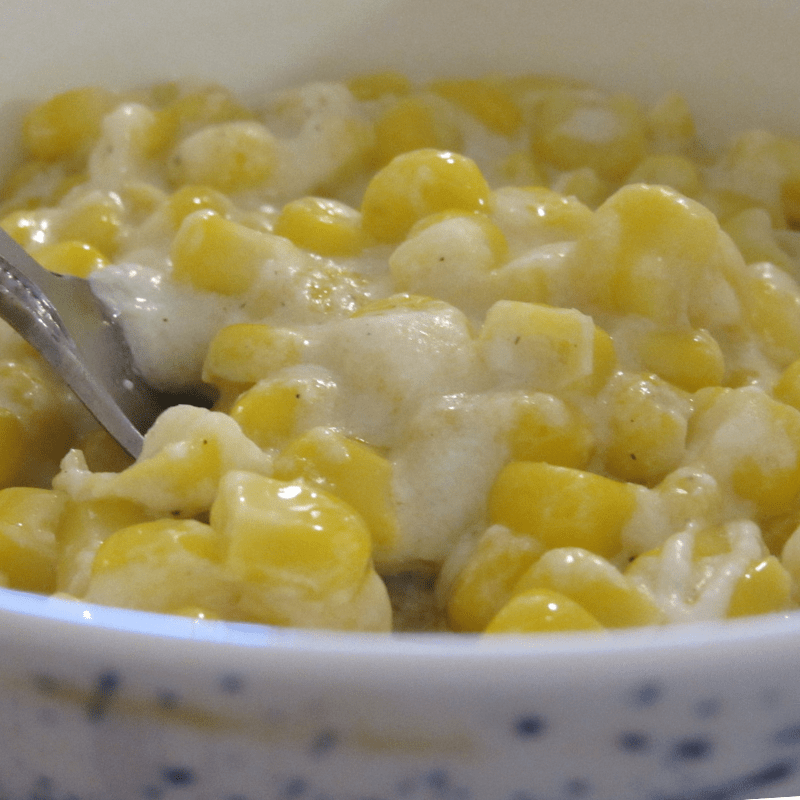 Frozen corn, on the other hand, I really like. I’d even go so far as to say I love it. Having a garden growing up then having one as an adult, made me appreciate the difference n a lot of vegetables. Due to my back injuries and issues, gardening is not something I can do any longer. So I depend on brands like Fresh From Florida as well as our local Farmers Market. But some vegetables that are frozen taste amazingly fresh. Like corn. 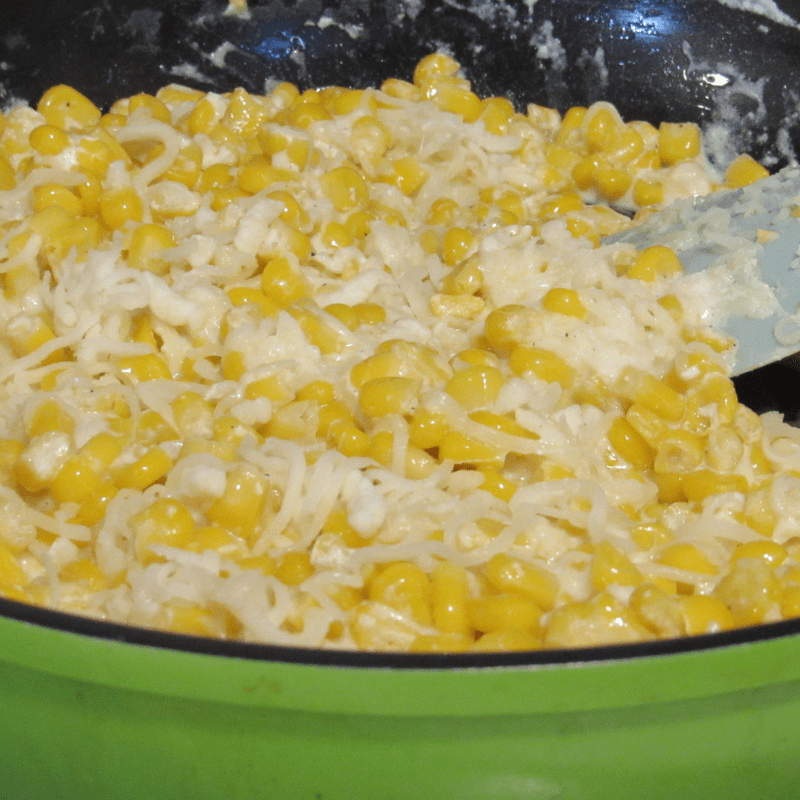 So, for my Homemade Creamed Corn Recipe, it’s okay to use frozen corn if you don’t have fresh corn on the cob. I give you 100% permission. Now, because I live alone, I only make half of the recipe if I’m making it for myself. I use two bags of corn if I’m making it for my family. I’ll post both recipes. Put a nice big spoon of butter in a preheated skillet. Let it melt. 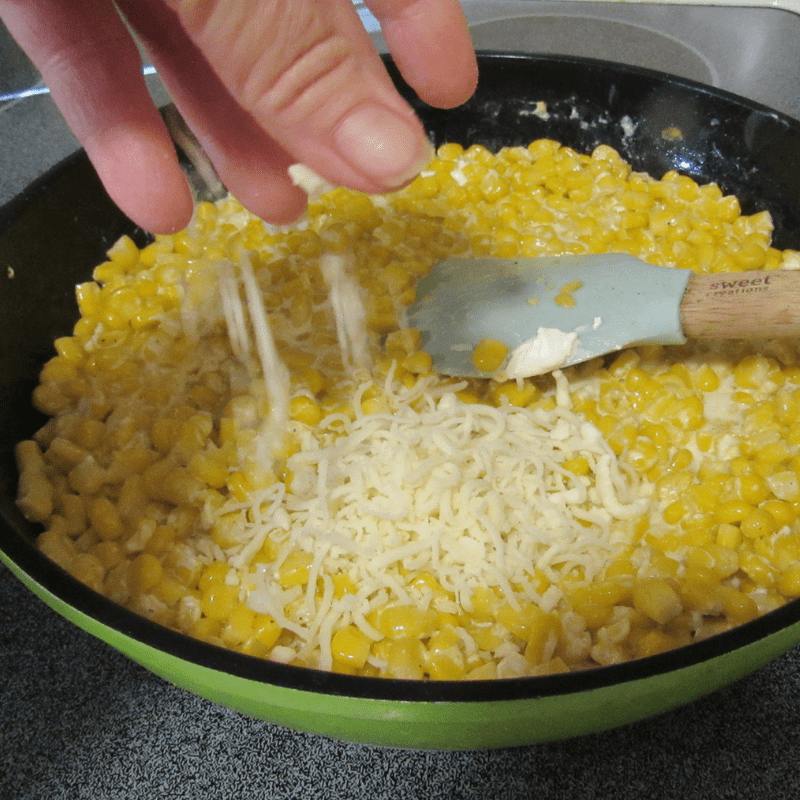 Add corn according to above directions, depending on the amount you want to make. 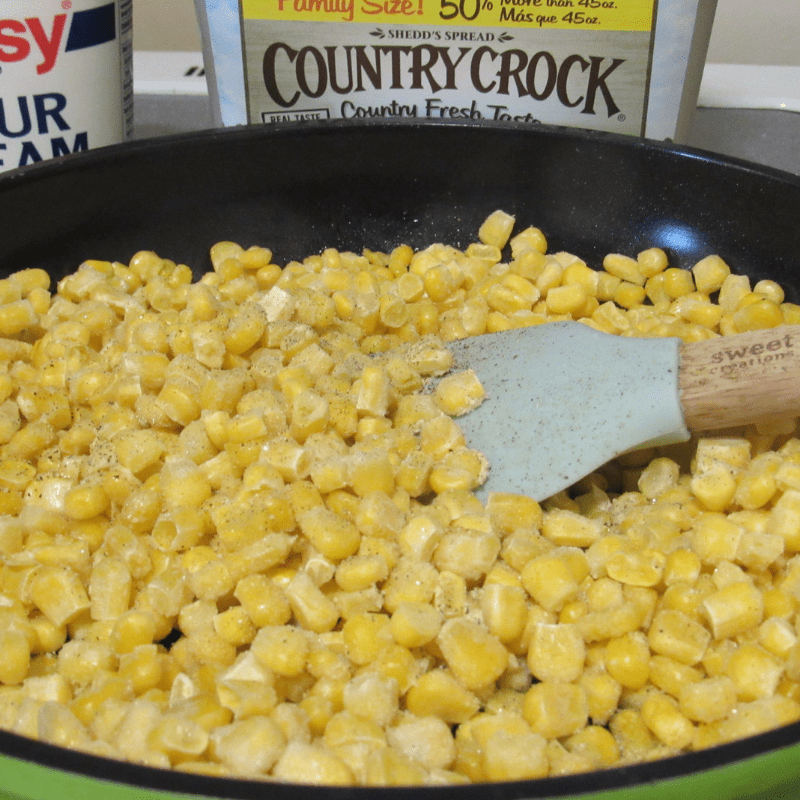 Let the corn cook in the butter until done. 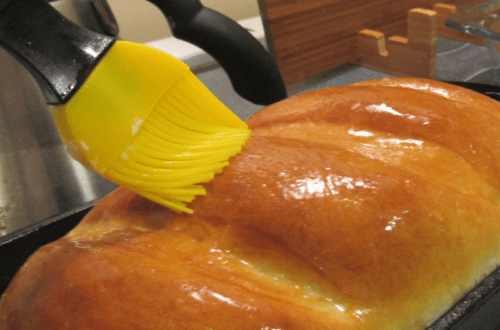 About 5 to 10 minutes depending on the amount you are making. 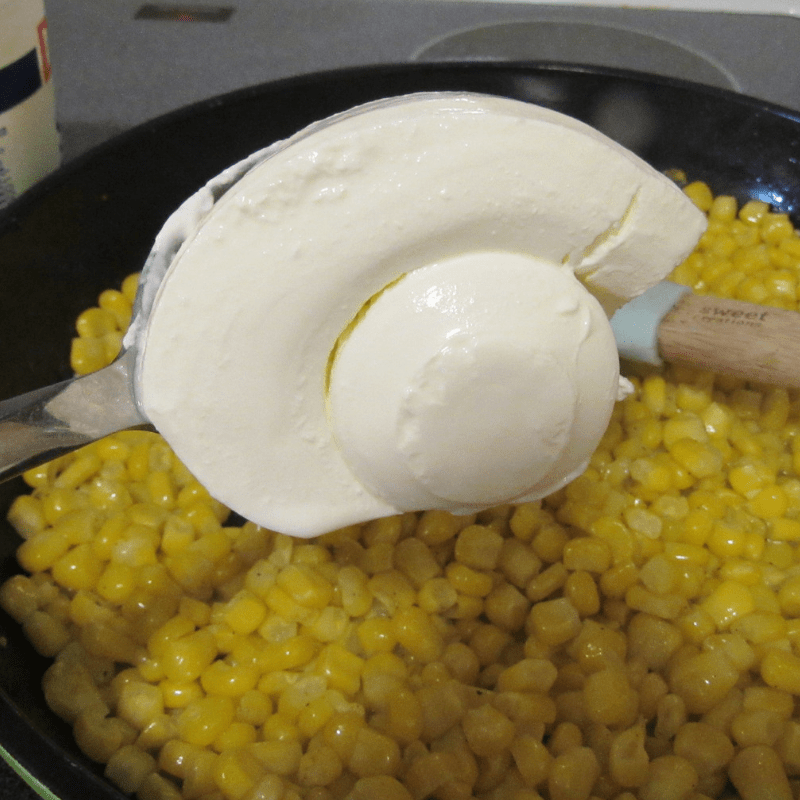 Add sour cream according to the above directions, depending on the amount you want to make. Stir and cook for a few minutes. 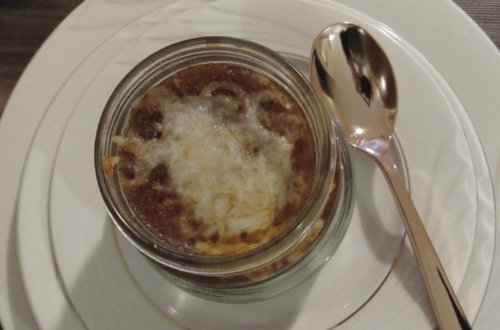 Don’t scorch the sour cream, keep the burner on low and stir often. 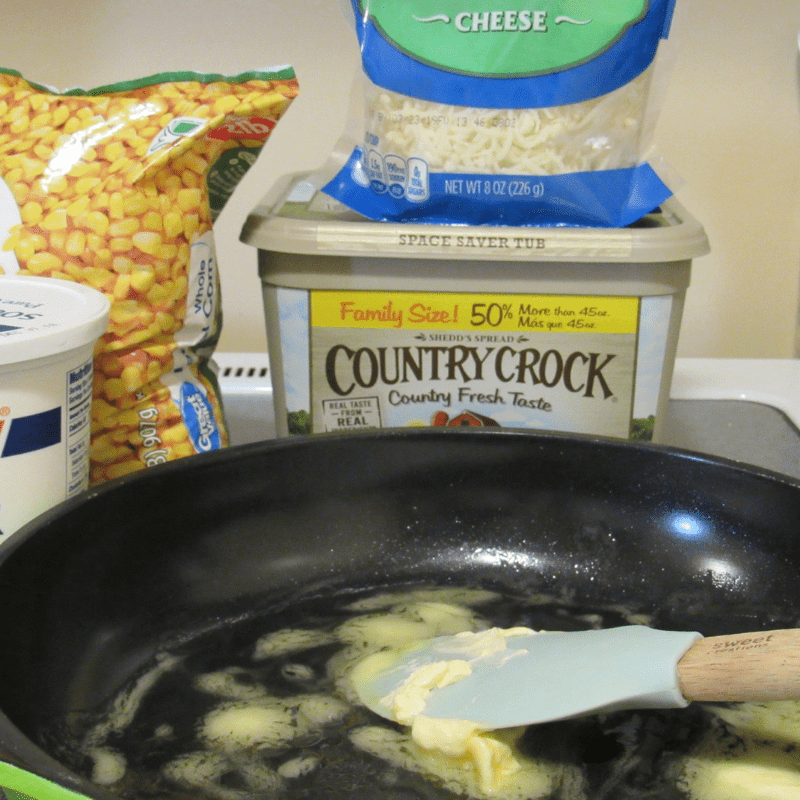 Add the cheese, according to the above directions, depending on the amount you want to make. Add the desired amount of salt & pepper. When cheese is melted. Turn off and serve immediately. Now wasn’t that easy? 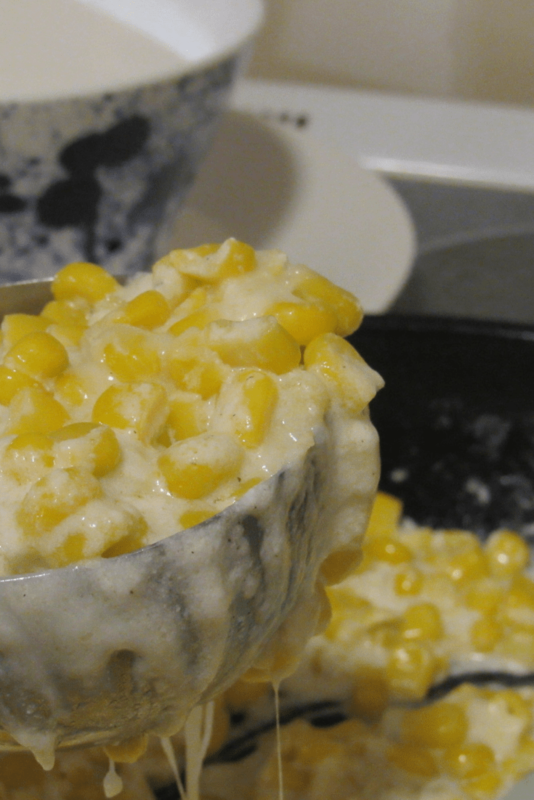 You’ll never have to make boring corn again.